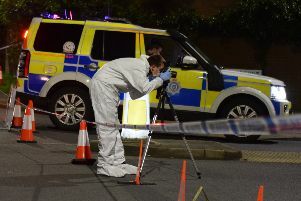 A court hearing for a Polegate councillor accused of the attempted murder of his wife was adjourned today (January 16). Joe O’Riordan, 73, of Brookside Avenue will reappear in court on Friday, February 6 to enter a plea. The case was adjourned because the CPS served court papers to the wrong solicitors. Judge Shani Barnes, sitting at Hove Trial Centre, said it was ‘disappointing’. The court heard Mr O’Riordan’s wife was out of hospital, but ‘fragile’.